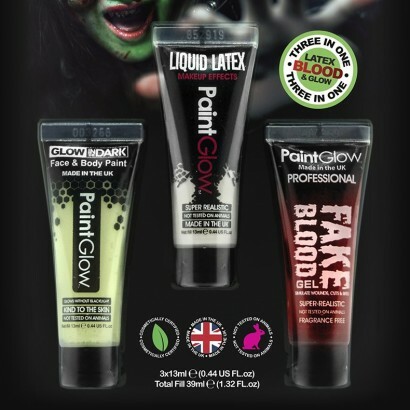 Go all out gory and create incredible gruesome wounds and special effects with liquid latex this Halloween! 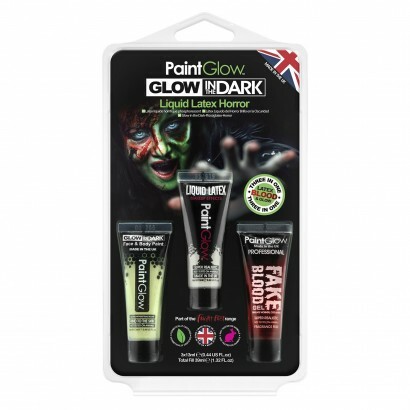 With glow in the dark face paint, liquid latex and fake blood gel, you have all you need to create spooky effects that shine with an eerie glow detailed with blood for extra gore! 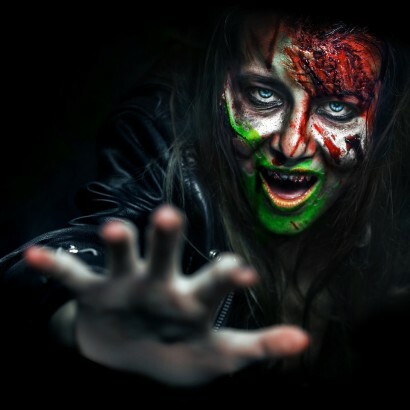 With three tubes of water based special effects make up per pack; 13ml of glow face paint, 13ml of liquid latex and 13ml of fake blood gel, simply combine the three for incredible creepy effects that will fool everyone this Halloween for ultimate fright factor!